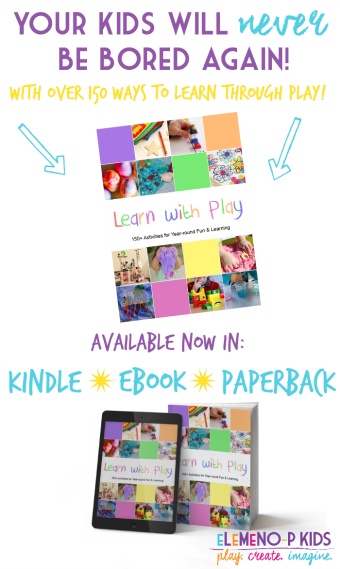 I love setting up “invitations to play” for little ones. 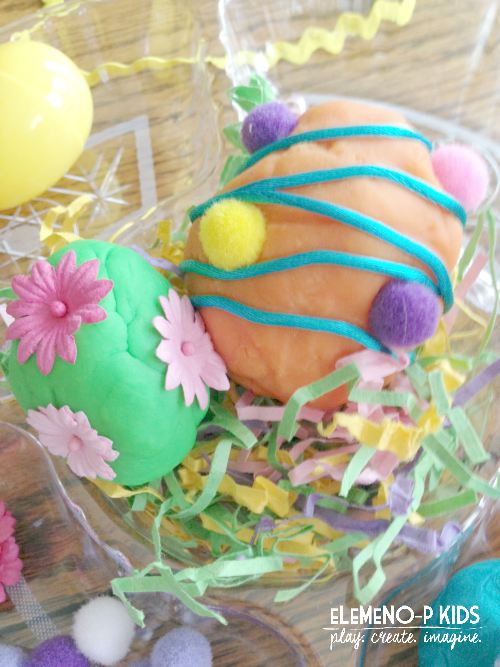 And with Easter so close, it’s the perfect time to set up this invitation to play: Play Dough Easter Eggs. An invitation to play is just what it sounds like. 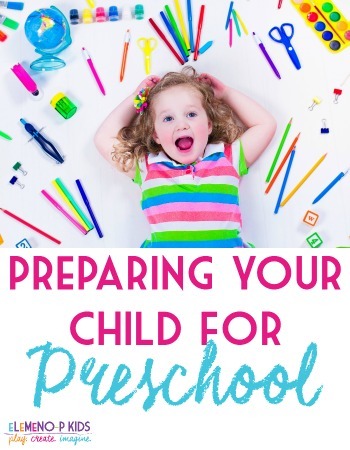 It’s a way to invite your child to play with the materials set out for them. 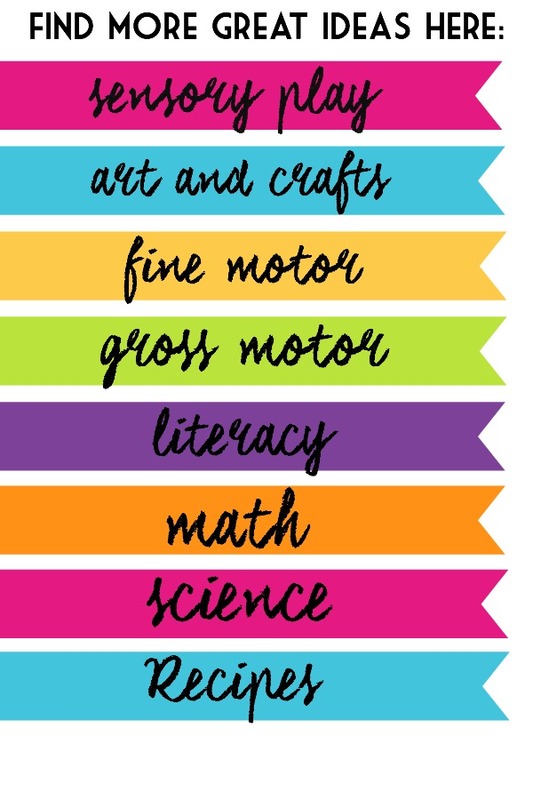 You provide the materials, and your child spends time playing with the materials as they choose. Invitations to play are open-ended and have no final outcome to be reached. They are just meant to be explored and played with. 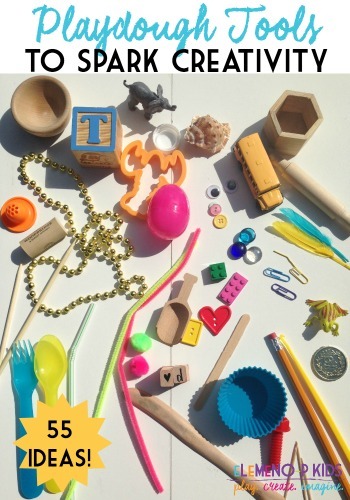 So, since my little one is on Spring Break this week, I decided to set out this Easter-themed invitation to play. 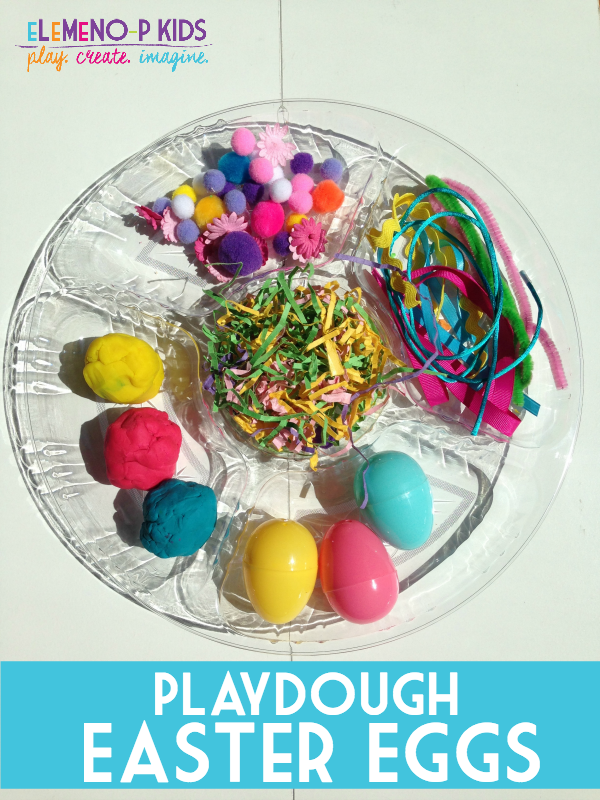 This Play Dough Easter Eggs tray is set up with various items to decorate plastic Easter eggs. This post may contain affiliate links. Please see our disclosure policy. Pom-pom balls, sequins, paper flowers, etc. 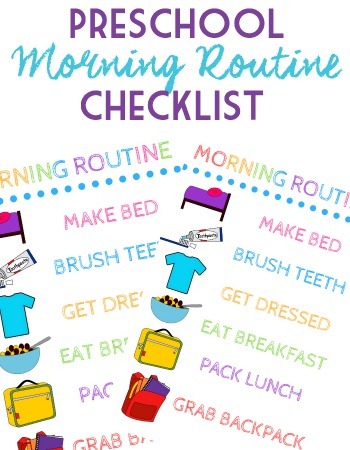 All you have to do is set everything up on the tray and set it out for your little one to see. 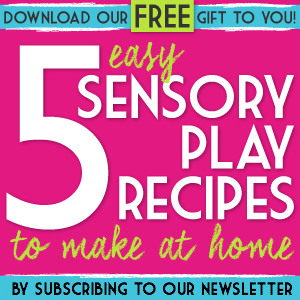 Then, invite them over to play! 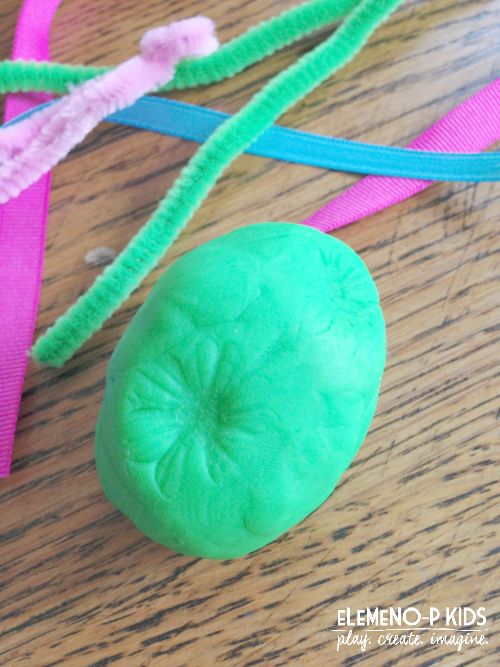 Wrap the egg in play dough. 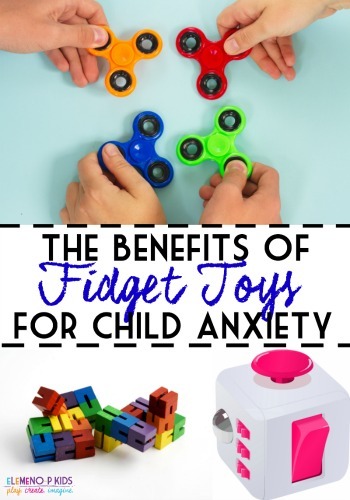 This is great for strengthening fine motor skills. 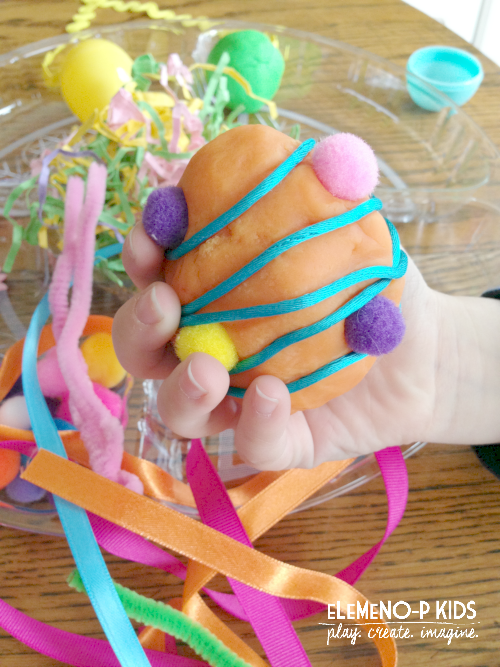 Then decorate your egg! 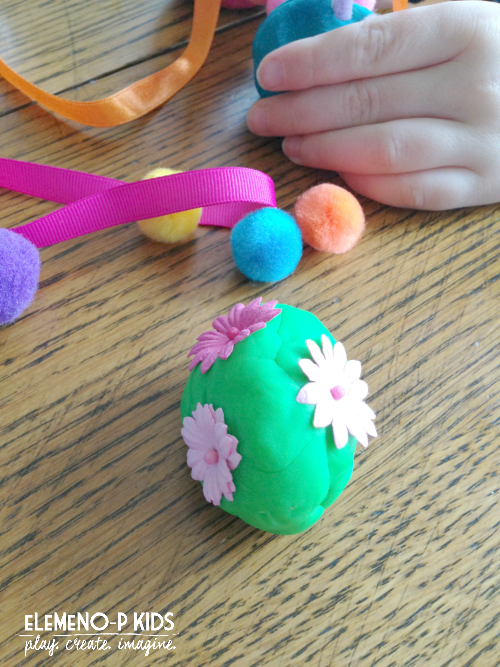 Mason stuck paper flowers all over this egg for a pretty 3-D effect. 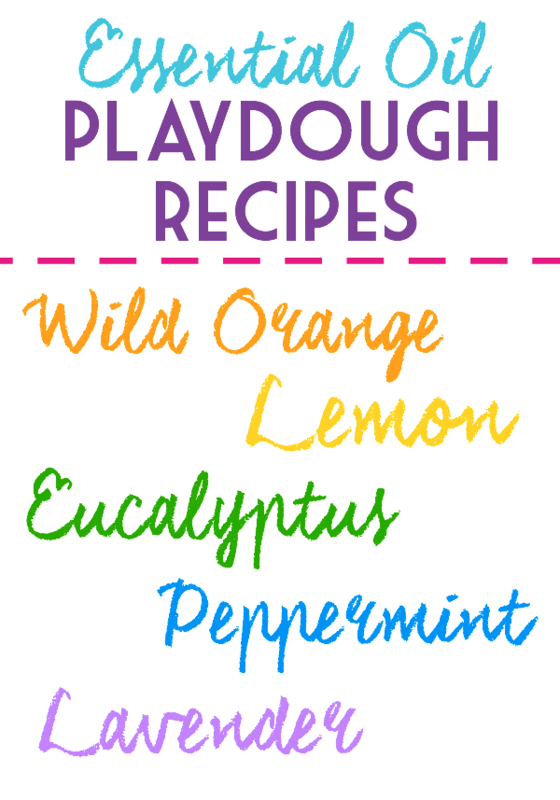 The cool thing with this activity is the imprints the materials make on the dough. Check out these flower impressions! 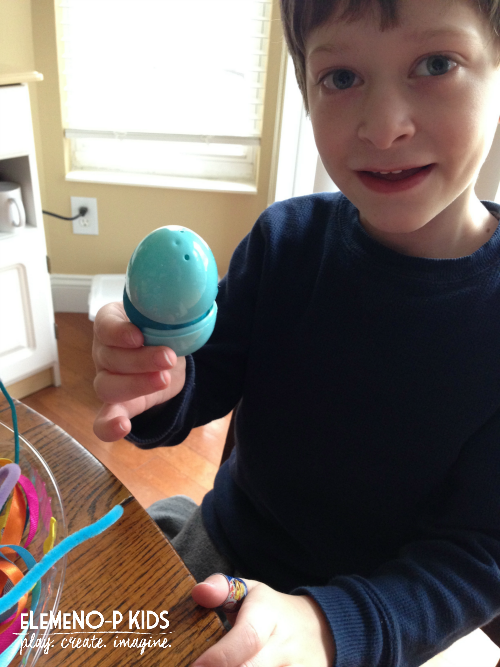 For his second egg, Mason decided to wrap a blue ribbon around it and stick pom pom balls all over for a polka dot effect. Both eggs in the grass make for such a pretty display. Mason played with this tray for about an hour. 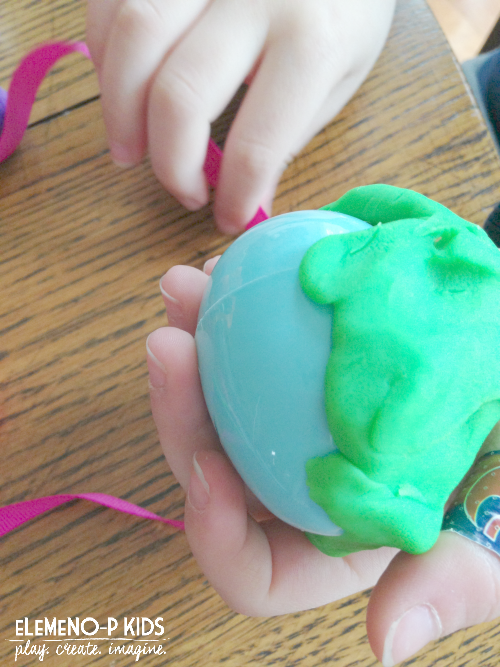 He decorated and undecorated the eggs as many times as he could. Then, he took it to another level and sorted the flowers into one egg and the pom-pom balls into another egg. His imagination went all kinds of places! 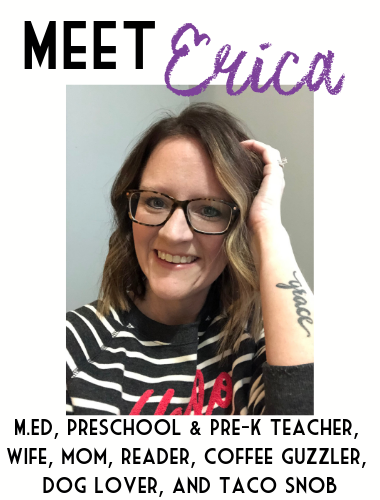 Follow Erica Leggiero @ eLeMeNO-P Kids’s board Easter Activities for Kids on Pinterest.